Harness the power of sweet, salty, and spicy with this Food52 rendition of hot beef jerky. It’s not every day that you get to indulge in high-sodium treats, so when you decide to do so, you better go big. Beef jerky has always been a huge hit in this nation, so riffs on the classic variety should come as no surprise. Unfortunately, not everyone will have the opportunity to purchase this “reef” jerky at their local grocery store. 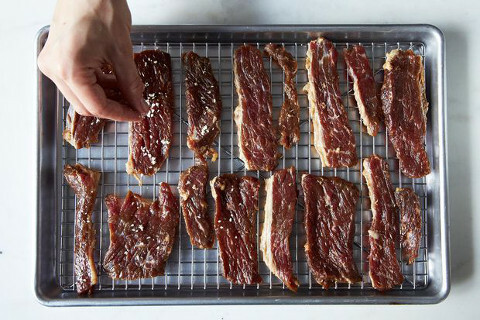 But here’s something that may be even better: Food52‘s recipe for Korean-inspired bulgogi jerky. The peppery jerky is topped with ground sesame and a punch of kochukaru for heat, making it a perfect sweet-salty-spicy snack. Did we mention it goes great with beer? 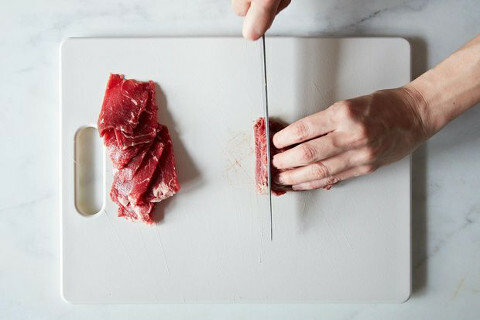 Freeze the beef for a few minutes to firm it up before thinly slicing it. 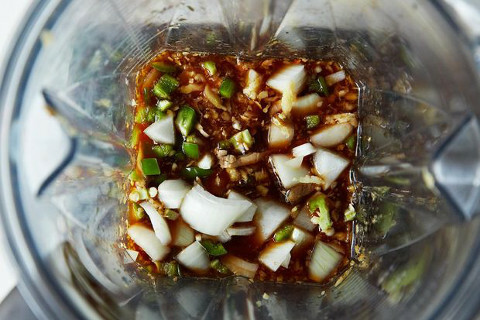 Blend the onions, ginger, garlic, soy sauce, sake, pear nectar, sesame oil, honey, and jalapeño into a marinade. 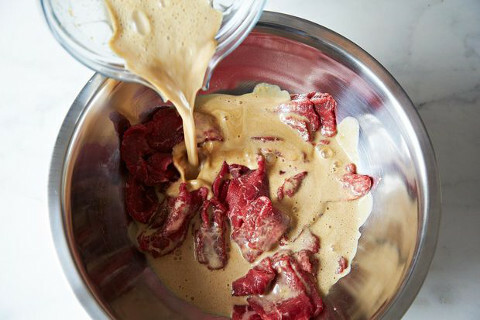 Coat the beef thoroughly in the marinade, and let it sit and soak. 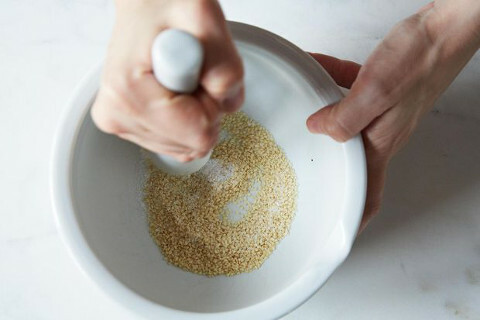 Grind the sesame seeds and salt together after the beef has settled into the marinade.